Rating: 4.5/10. From 46 votes. Summary: The description, specs, photos, pricing and user ratings for the Shooters Arms Mfg Military pistol. The Military from the left. a recoil spring guide and plug. Note: American Tactical Imports (ATI) imports these pistols from Philippines-based Shooters Arms Mfg into the United States. 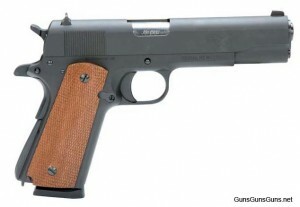 ATI says its version wears mahogany grips and carries an eight-round magazine. 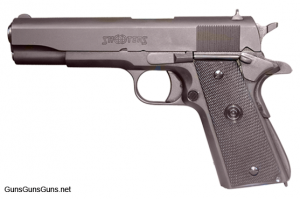 .45 ACP 7+1 5″ 8.46″ n/a 5.28″ 37 oz. The ATI version of the Military, from the right. This entry was posted in .45 ACP, $251-$500, 1911, American Tac Imports, Full size, Semiauto, Shooters Arms Mfg on March 28, 2012 by Staff. Really affordable and accurate. 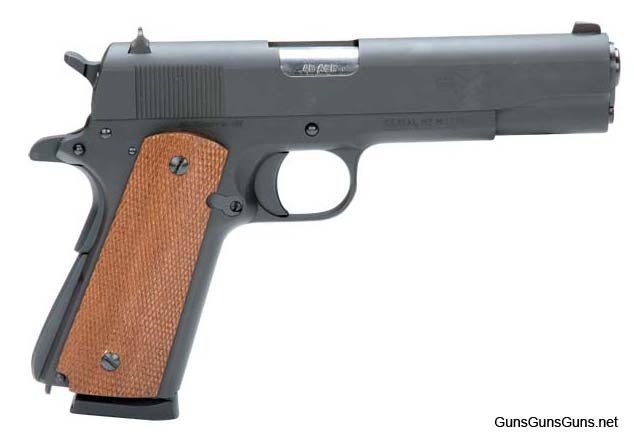 The build quality is solid and i love the classic 1911 look.